All our services are dealt with in the professional manner you’d expect from a large transport company, with the personal touch of a family owned business... This is why more and more customers are choosing J&P Vehicle Deliveries. Our transport services operate throughout the UK, and are tailored to the requirements of our individual customer. 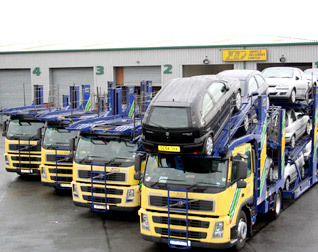 Also boasting the latest technology in relation to vehicle appraisals and tracking facilities, J&P Vehicle Deliveries is becoming one of the more popular choices when customers look to transport their vehicles across mainland UK. If you have a query regarding a vehicle movement visit our enquiry page or alternatively contact us and we will answer your query and tailor our service to meet your needs. 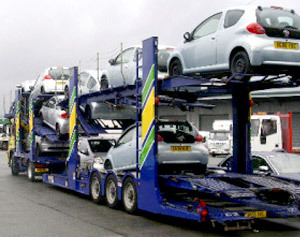 To learn more of the services J&P Vehicle Deliveries has to offer, we invite you to delve deeper into our website and visit the numerous pages detailing how J&P Vehicle Deliveries offers a unique, high quality service in relation to the vehicle transportation market.